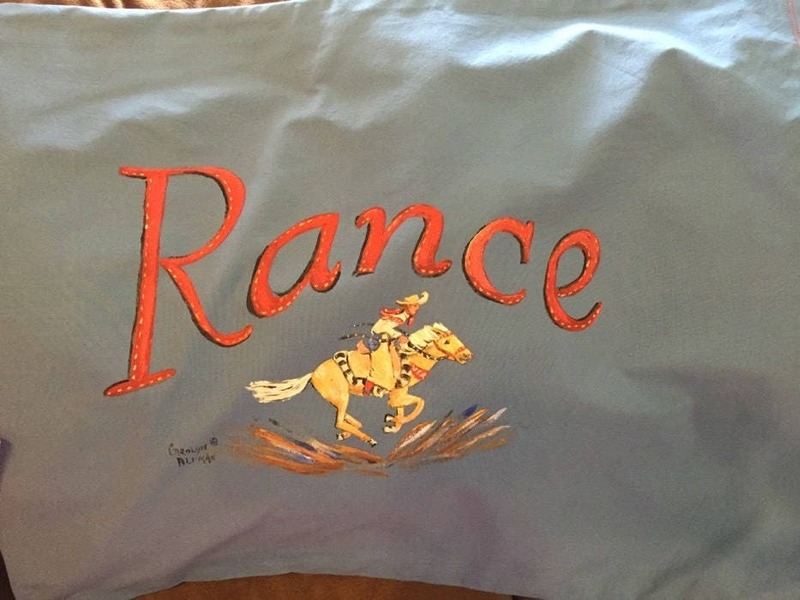 The pillowcase is a light blue which really makes a good background for the little cowboy riding a palomino horse. The little cowboy's name is painted in red. Stuff a pillow in it and carry it on road trips - or add it to your little girl's bed.